Videos, whether they be movies, a slide show, with or without narration or a combination of these methods, are a great way to present a story and excite others about your interests. 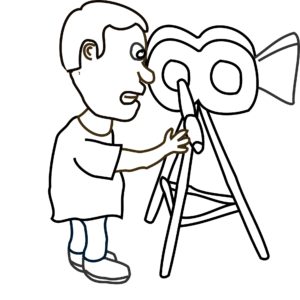 You’ve just participated in JOTA and want to tell others about your experience, but, in order to prepare a video, you’ll need to plan to capture photos and movie clips in order to create your masterpiece. It’s best to assign the task of photographer/videographer to someone on your JOTA team. One such assignment might be to a Scout who is working on Moviemaking, Digital Technology or Journalism Merit Badge. A Scout will have a viewpoint which appeals to other scouts and youth. Social media and the internet have overwhelmed us with words, pictures and videos. The first few seconds of your video is the “make or break” in whether the viewer will continue watching or click Stop. Attention span must be taken into consideration. The phrase “elevator pitch” is often used to describe the time frame you have in which to keep another’s attention. That’s about 2 minutes. Your JOTA video might include shots of planning and setup, but, focus on the FUN of Scouts getting on the air. Smiles, shouts of glee, expressions of the “magic” of radio and satisfaction of learning new things are the sort of images that keep the viewer’s attention and help promote JOTA and amateur radio. The K2BSA ARA is recommending YouTube (or other social media and video portals) videos not exceed 2 minutes in which to tell your JOTA story. If you need more, provide a link to a slide show, expanded video or web site which provides more detail. Whatever video source is used must allow for public access. AND, remember, any “borrowed” logos, clip-art, photos, videos/movies and music must obey copyright laws. If something is not yours, then you need permission to use it or must pay for its use. Public domain is highly recommended. While we’re on the subject of permissions: remember to get the permission of subjects (Scouts, Scouters, visitors) who are included in your photography or audio recordings. (See http://www.scouting.org/Home/Marketing/Tell%20Your%20Story/TalentReleaseForm.aspx) Many units include such a form in their activity permission slip to make it easier to collect. 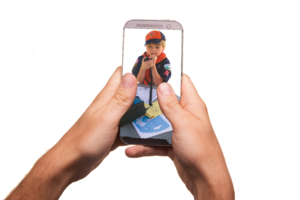 The Boy Scouts of America has established a set of guidelines for the use of photographs and videos, as well as BSA Corporate branding. Just about everything you need to know is contained in the BSA Brand Identity Guide, available for download at http://scoutingwire.org/wp-content/uploads/2015/05/Corporate_Brand_Identity.pdf This is an excellent document to download and save on your smart phone or tablet for use in the field. Have fun during JOTA and take some time to capture that fun on video. You can find more information at JOTA Station Report – Best Practices.